The knee is the largest joint in the human body and both sturdy and incredibly complex. Your knees keep you on the move while supporting nearly the entire weight of your body! When your knee is afflicted with osteoarthritis, injury, inflammation, or disease, your day-to-day life is directly affected. 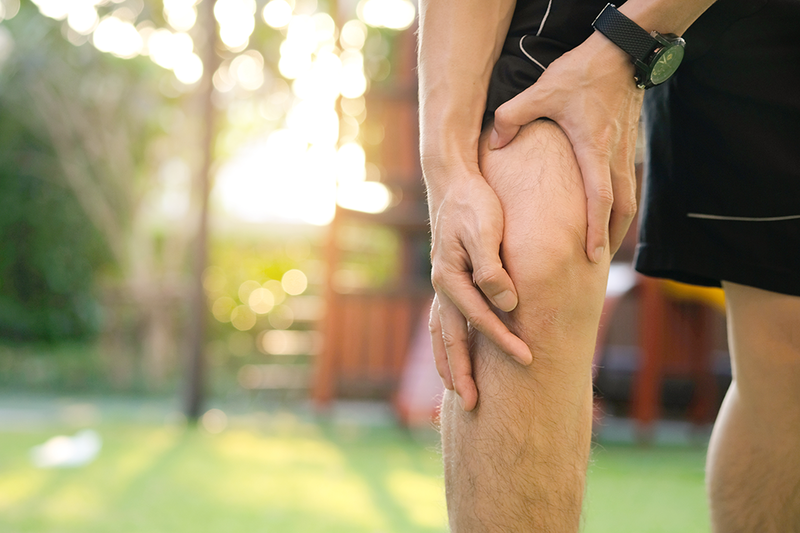 If you wake up with stiff, sore knees, notice increased pain when going up or down stairs, or frequently take medicines to relieve knee pain, we can help through an aggressive treatment program. Check out our free brochure for more information on how Spring Creek Medical Center can treat your knee pain! Good news! You don’t have to continue living with your knee pain! In as little as five weeks, your knee pain may be reduced – or possibly eliminated – without a lifetime dependency on oral medications. It is important that you take an active role in the treatment of your Osteoarthritis (OA) and in the prevention of additional joint damage. There are steps you can take to lower your risk for developing osteoarthritis. The most important thing you can do if you suspect you have any form of arthritis is to get a proper diagnosis and begin early aggressive treatment. How can a series of injections and physical therapy prevent surgery? The FDA has officially approved viscosupplementation (Hyaluronan) for use in the treatment of Arthritis of the knee. Viscosupplementation bonds with the naturally occurring joint fluid to create a lubricating and cushioning layer. It also reduces pain, inflammation, and swelling of the joint, enabling you to do the everyday activities you enjoy! Adverse side effects are very rare. Published studies have proven and our clinical experience has confirmed increased accuracy and decreased pain using our method of injections performed under an advanced live motion x-ray unit (Fluoroscopy) with dye. For best results, we recommend combining viscosupplementation injections with a specifically designed physical therapy program provided by a licensed Physical Therapist. We help you get active, by being directly involved in your knee therapy regimen. What separates us from others is our treatment plan. Our therapy revolves around 5 Hyalgan® injections over a 5 week period and incorporates a series of physical therapy sessions. This helps play a key role in the effectiveness of the treatment. We educate and encourage your success with physical therapy exercises that are important in osteoarthritis management. They include strengthening exercises because strong muscles help support and protect joints affected by arthritis. Aerobic conditioning to improve cardiovascular fitness, help control weight, and improve overall function. Range-of-Motion Therapy to help reduce stiffness and optimally increase proper knee joint movement and flexibility. Balance/Agility Therapy that helps you strengthen your core muscles and return you to the activities you are missing. What Makes Spring Creek Medical Center Different? Our accredited physicians and physical therapists have developed a specific and proven treatment program for greater success and better insurance reimbursements. This includes injections guided by a real-time x-ray (fluoroscopy) to make sure it’s injected properly with minimal pain and maximal injection accuracy. We are board-certified physicians and therapists dedicated to treating many musculoskeletal conditions with an emphasis on treatment for Osteoarthritis of the knee.